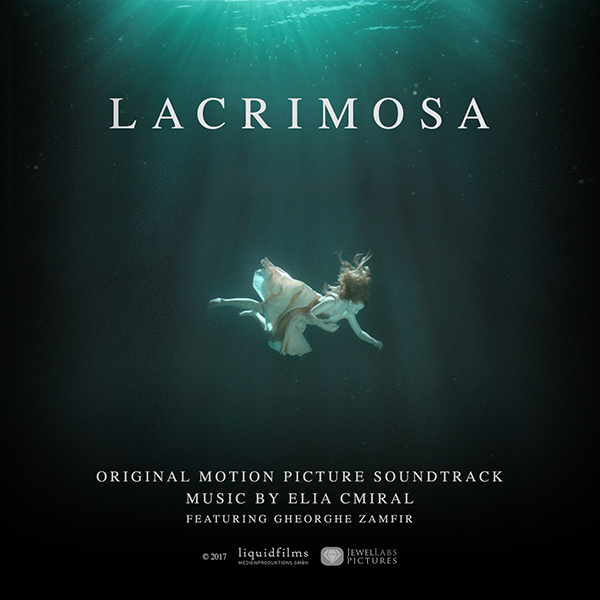 Records DK recently released the Lacrimosa – Original Soundtrack. The album features original music by composer Elia Cmiral (Ronin, Splinter) and performances by panflute master Gheorghe Zamfir. Cmiral has received numerous accolades for his work on LACRIMOSA, including Honorable Mention for Original Score at the Top Shorts Film Festival and Best Film Soundtrack at the Calcutta International Cult Film Festival. Born in Czechoslovakia, Elia Cmiral is the son of an actress and a theater director, and grandson of one of Antonin Dvorak’s pupils. A multi instrumentalist, Cmiral attended the Prague Music Conservatory, where he studied composition and double bass. Elia's first scoring opportunity came with his father's production of "Cyrano de Bergerac." From this experience he discovered his passion for writing for the stage. By the early 80's, Cmiral had moved to Sweden. Throughout his time there he wrote scores for several European films, TV and three ballets. In 1989, he moved to America for USC's Scoring for Motion Pictures and Television program. His year at USC culminated with the scoring of his first American feature, "Apartment Zero” starring Colin Firth. Over the next decade, Elia continued building a reputation for himself in Sweden and in America. His musical style combines contemporary electronica with the modern orchestra, joining cutting edge technology and production with evocative and haunting melodic themes. Elia scored the first season of Don Johnson ‘s TV series “Nash Bridges” and his first studio feature, John Frankenheimer’s suspense thriller “Ronin”, which earned him the Movieline Young Hollywood Award for Best Soundtrack of 1998, won International Film Music Critics award for Breakthrough Film Composer of the Year. 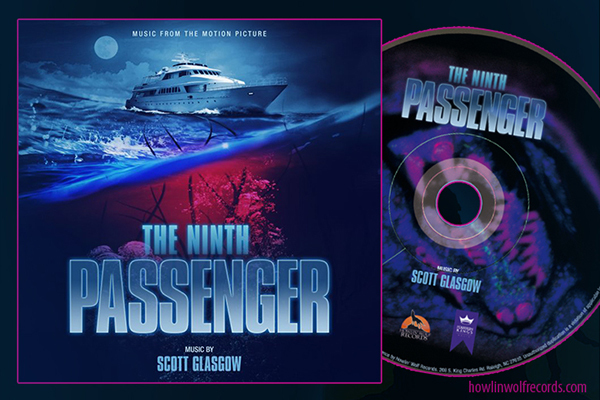 As well as was nominated for the Best Original Score for an Action Film. To the date Elia has written nearly sixty scores for independent films, TV and major studios including "Stigmata", trilogy "Pulse", "Wrong Turn", "Journey to the End of the Night", "The Deaths of Ian Stone" produced by Stan Winston. For this score for “Splinter” a cutting edge horror film with stunning visuals, directed by Toby Wilkins Elia received the Best Score award at the Screamfest '08 film festival in Los Angeles, and for his work on "Lost Boys" – The Thirst, he was nominated for the Golden Reel. Elia worked with Czech director Juraj Herz on the score for the German/Czech produced film "Habermann". The movie is a WWII drama based on a true story, the movie won the top price at the 7th “Jewish Eye” Film Festival in Ashkelon, Israel. Other projects included a rock score for "Spec Ops: The Line", a video game by German-based developer Yeager and 2K. Elia also composed part of a movement in collaboration between twenty-four Hollywood composers, "A Symphony of Hope”, which is on sale to benefit victims of the Haiti earthquake disaster. Elia wrote and epic orchestral scores for "Atlas Shrugged Part 1" and 3, based on Ayn Rand’s novel. During 2016 Elia released an album with arrangements for piano trio based on his film scores ("Ronin", "Apartment Zero", "Habermann" and "Atlas Shrugged Part 1"). Additionally, he wrote a score for a short art movie "Lacrimosa" for the Austrian director Tanja Mairitsch, the score features panflute virtuoso, Zamfir. This score was awarded as well as nominated at a number of different international festivals. Besides, Elia wrote the score for three different films; a hybrid score for the action/thriller film "Armed Response" starring Wesley Snipes; a drama set in 1920 at Hawaii "Jo the Medicine Runner" starring Matt Dillon. Elia also reteamed with the director Mark Young on their fourth collaboration for the thriller/horror "Feral". Currently Elia is working on a large concert suite for orchestra and panflute, this work is dedicated to Master Zamfir. This a very short, but strong score... heck the short film is only 17 minutes! Worth a listen!